The Panthers have enjoyed tremendous success this decade but have no Lombardi trophy to show for it. “Riverboat” Ron Rivera had led this team since 2011 and has 71 wins, four playoff appearances, three division titles, and one Super Bowl appearance on his record. Rivera has seen his quarterback win both MVP and offensive rookie of the year and has seen his star linebacker win defensive rookie of the year. He is also a two-time coach of the year. This is all in his first ever stint as a head coach, making it all the more impressive. After finishing 11-5 but losing to divisional rival New Orleans in the first round of the playoffs, the Panthers have both the talent and now the incentive and drive to make another run for the NFC South crown and push deep into the postseason. The Carolina Panthers betting odds echo this sentiment, placing them among the NFC’s contenders. Carolina quarterback Cam Newton wears his emotions on his sleeves. Never was this more evident than after he broke into tears following the Panthers’ Super Bowl 50 loss to Peyton Manning, Von Miller, and the Broncos. Receiving much criticism for how he handled the loss, many believed he would come back stronger and more determined. The opposite happened, and Newton has not performed well since that game. In 2016, he posted the lowest passer rating of his pro career, due to a sub-par touchdown to interception ratio and a completion percentage barely above 50%. Newton bounced back slightly last year, but still did not post numbers befitting a former MVP winner. Panthers fans have to be wondering what happened to their quarterback. Ranking third in rushing yards allowed per game in 2017, the Panthers’ stiff run defense can account for the team’s 11-5 record. Linebacker Luke Kuechly enters his seventh NFL season as the best man at his position in the NFL. Graded metrically as the best coverage linebacker and a very good run stopper, Kuechly is seemingly everywhere. A ball magnet, the Boston College product has averaged 136 tackles per season for the Panthers. On the interior of the defensive line sits Kawaan Short, a five-year veteran out of Purdue. Short has amassed 24.5 sacks over the previous three seasons and is graded by Pro Football Focus as an elite talent. The combination of Short and Kuechly spell doom for opposing running games. You cannot run through these guys, and you cannot beat them to the corner. Opponents have learned the hard way that this Panthers’ defense can often resemble a brick wall. The Panthers are projected to be in the top third of teams in the NFL this year, listed at 35-1 odds to win Super Bowl 53. Here at SkyBook, we pride ourselves on being the best NFL sportsbook for all your football betting needs. 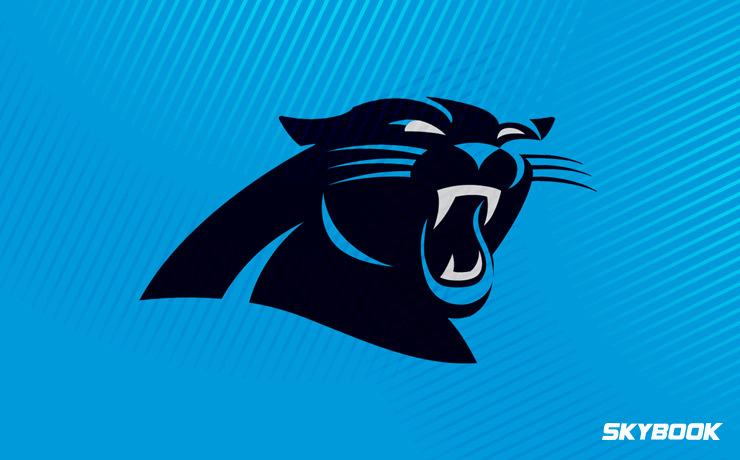 Throughout the season, we will deliver you Panthers game analysis, matchups, and injury reports. The Panthers feature a very talented roster and continuity at the important positions as well as at Head Coach. We offer the best Carolina Panthers betting odds along with great bonuses that you will not find at any other sportsbook.